Creators shape the world. Through their curiosity, their vision, and their stories, these artists transform the way we see the world and ultimately transform how we live in it. From our first published post a year and a half ago, The Impression celebrated ‘The Creators’ and along the way gained a global following as a key resource for fashion creatives, marketers, executives, and entrepreneurs to be inspired. 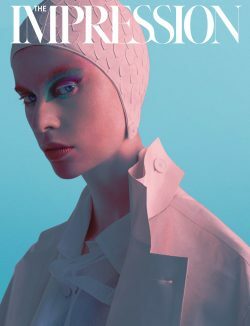 The Impression offers the latest fashion news, profiles of leading creatives, ad campaign reviews, fashion films, and marketing trends. The Impression is one of the world’s leading resources for covering fashion runway from front of house, to backstage, to beauty, to accessories, to street style.